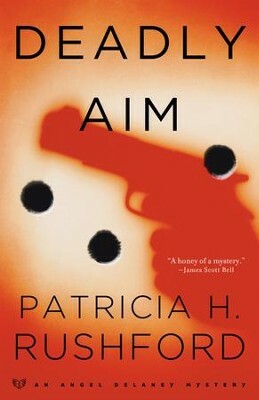 Patricia Rushford kicks off a thrilling new crime series set in the cozy coastal hamlet of Sunset Cove, Oregon. Featuring determined police officer Angel Delaney, the first episode is sure to have armchair sleuths turning the pages as fast as they can to discover whodunit? When a police shootout results in the death of a 12-year-old boy, Officer Angel Delaney is blamed, convicted, and condemned by the media and the Sunset Cove community before the case even goes to trial. Angel will have her day in court, but before she has the chance to defend herself, the situation spirals out of control. Key evidence is missing, evidence that could have verified her claim of firing only one shot in self-defense. In short order, the body count rises, and suddenly Angel is a suspect in more than one murder investigation. Heartsick about the young boy's death, and questioning her judgment as a police officer, Angel joins forces with Detective Callen Riley to fight the mounting charges against her. Award-winning author and speaker Patricia H. Rushford has written over fifty books, including five mystery series. She is the author of the Helen Bradley Mysteries, the Angel Delaney Mysteries, and the McAllister Files, which she wrote with a police detective. She's also written the popular Jennie McGrady Mysteries and the Max & Me Mysteries for kids. Patricia conducts writers' workshops for adults and children and has been the director of the Oregon Christian Writer's Summer Conference and co-director of Writer's Weekend at the Beach. Patricia has appeared on numerous radio and television talk shows across the United States and Canada. Connect with Patricia on Facebook and at www.patriciarushfordbooks.com. I'm the author/artist and I want to review Deadly Aim - eBook.